Jill Marie Clark Erickson, 76, passed away Saturday, September 15, 2018 after an admirable struggle with cancer. She was born to Grant and Lovey Marie (Woodrum) Clark on Wednesday, June 24, 1942. She is survived by her best friend and dear husband of 57 years, Dr. Kent Call Erickson. They have seven children, Marie (Tom) Cook, Debbie (Troy) McArthur, Beverly (Kenneth) Cheshire, Sidney (Dan) Coulson, Kasey (Danielle) Erickson, Rodney (Angela) Erickson and Leslie (Bob) Glodowski. Jill is survived by her brothers, Perry and Troy Clark, and her sisters, Janet (Val) Perry, Rosemary (Archie) Wood, and Tracey (John Baugh). She was preceded in death by her parents; her sisters, Mona Izatt and Becky Kudar; and brother, Arnold. Jill spent her life serving others. As a mother of seven, grandmother of 25, and great grandmother to nine children, she demonstrated Christ-like love and kindness to each. Every child had no doubt that she loved them with all her heart. Cooking with helpers in the kitchen was one of her many specialties. Jill attended elementary school in Freedom, Wyoming. She graduated from Star Valley High School, later became a Certified Nurse Assistant and earned a Tech Class level Amature Radio License. Growing up, Jill helped her dad on the family farm. She always said she would rather be doing the outside chores than having to be stuck inside doing house chores. Jill helped support Kent and their young family while Kent attended the University of Utah and later the Loyola Dental School in Chicago. She tended children in their home – and, in total, potty trained 23 children. Following graduation from Dental School, Kent and Jill settled in Lander, Wyoming and later moved to Douglas, Wyoming, where she worked as the office manager for Platte River Dental. 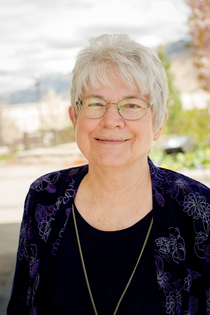 Jill served in the Church of Jesus Christ of Latter-Day Saints without hesitation, having many leadership positions in the women's, youth's and children's organizations. She shared her love of the Savior through music with playing the organ or piano or leading the congregation in singing hymns. Jill and Kent put aside their own wants and faithfully performed a service mission for three years. She served in the community as an election judge, as a volunteer for children with learning disabilities in the school, and, most importantly, she served as a neighbor and friend to all she met. Funeral services will be held in the Church of Jesus Christ of Latter-Day Saints chapel in Douglas on Friday, September 21, 2018 at 4:00 P.M.. A graveside service will be held in the Freedom, Idaho cemetery on Monday, September 24, 2018 at 11:00 A.M.. We welcome all to celebrate with us the life of Jill, dear wife, beloved mother, extraordinary grandmother and friend.